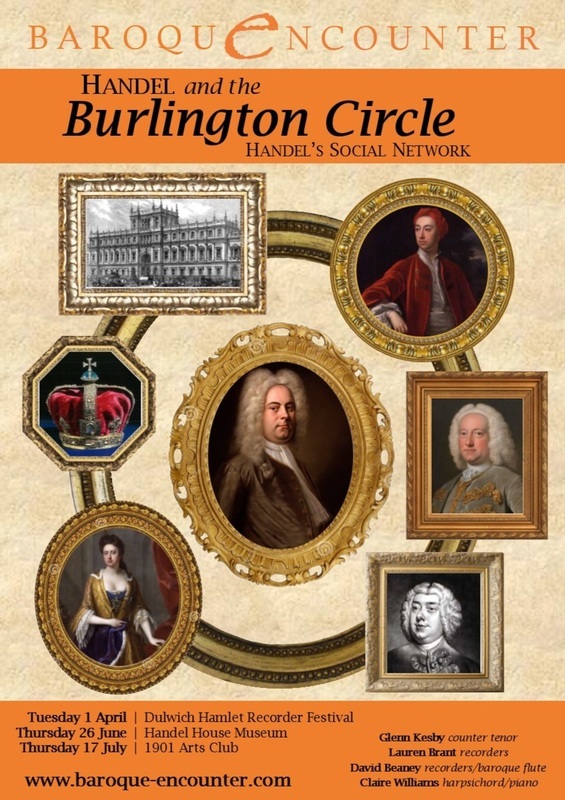 The social network provided to Handel during his lodging with Lord Burlington included writers, rivals, future patrons and royalty. Handel dedicated his operas Teseo and Amadigi to Lord Burlington and through a Burlington House regular, who was physician to the Queen, was given the opportunity to write the famous Birthday Ode for Queen Anne (Eternal Source of Light Divine). Handel established himself as London’s foremost composer of Italian opera and for English ceremonial occasions. Needless to say, the evening's music was of an incredibly high standard, with countertenor Kesby, keyboardist Claire Williams, recorder player Lauren Brant, and guest performer David Beaney alternating between the recorder and flute. Kesby's resonant countertenor really succeeded in bringing the various vocal pieces to life: his performance was at once technically excellent and sensitive to the character of the music, employing a great range of different timbres. Prime examples of this were the last two arias of the first half. Handel's 'Ombra cara' from Radamisto was full of emotion, in which Kesby fully captured Radamisto's despair. This was contrasted completely with the high, virtuosic character of 'Sento la gioia' from Amadigi. Read the full review of this programme here.